Registration has closed for this event. Thank you to everyone who signed up. 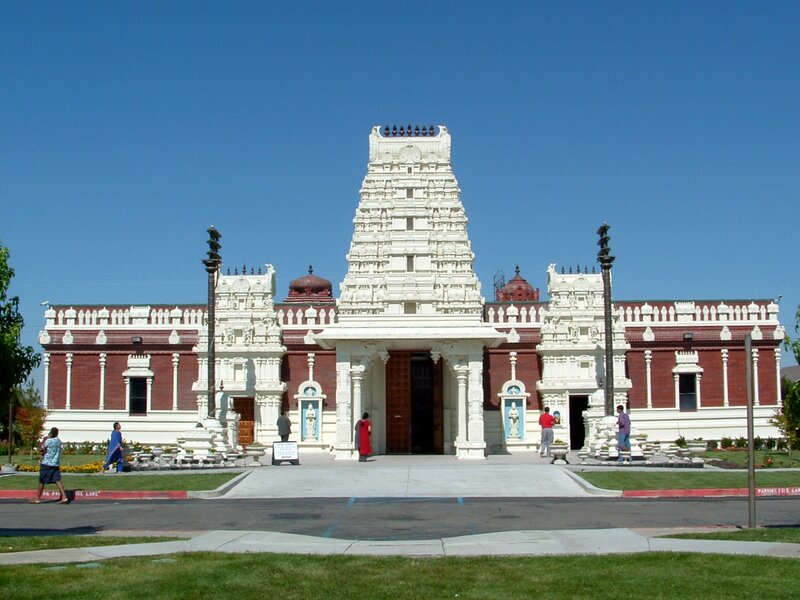 Join us for a visit to the impressive Shiva-Vishnu Temple in Livermore. The Hindu Community and Cultural Center (HCCC) was established in 1977 with the goal of offering religious services to the Hindu community. In the last 41 years, the HCCC has evolved into an established religious institution with 12 priests from different regions of India. One of the founding fathers of the temple will take us on a guided tour of the temple complex at a time when the priests will be conducting prayers in its many shrines. From the moment you cross the threshold of the temple, you will be surrounded by the authentic color, fragrance, and sounds of Hinduism in India.